Meet a self-proclaimed ROSE NUT, my rose friend, Baldo Villegas. . .
Baldo with a few of his many award winners! Baldo is a leading expert for the ARS on rose insects and diseases. Before his retirement in 2011, Baldo was the state entomologist for the California Department of Food and Agriculture. 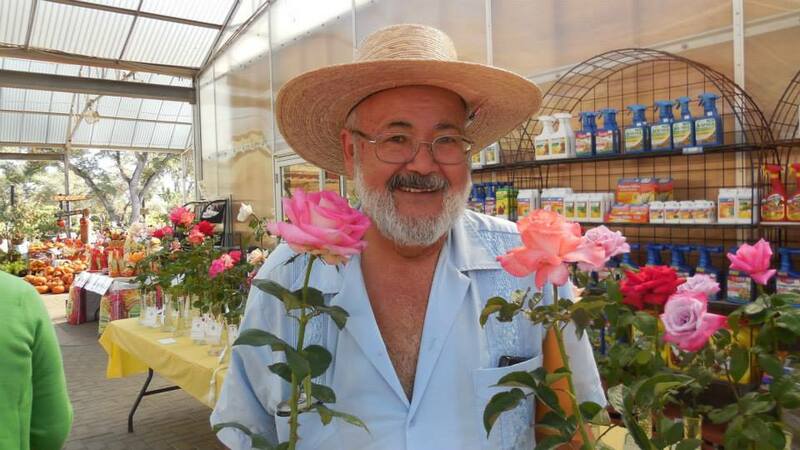 This week the Rose Chat team caught up with Baldo to to get a report on what’s going on in his garden of more than 3000 (yes 3,000) roses. We also wanted the inside scoop on his pruning techniques and some advice about one of his most favorite subjects—BUGS—especially the bugs that bug our roses! Can you say Japanese Beetles and Rose Midge!?! Our time with Baldo proved to be informing, entertaining and inspiring! He even told us about some roses that he thought every rose lover should grow for beauty AND fragrance! Great ones to add to your wish list. 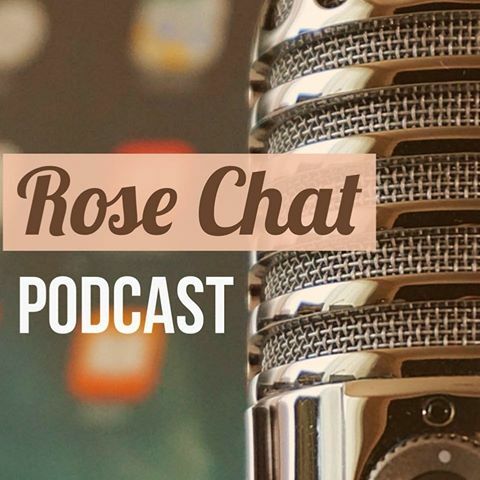 If you grow roses, want to grow roses, love roses or even like roses, don’t miss this podcast. You can listen on demand here. You can keep up with Baldo and what’s going on in his garden by following him on Facebook here. That was my first response too. Is he as charming as his photo? I bet we’re all in good company and this is nothing new to Mr Baldo. Sounds like a great podcast too, thanks for sharing it with us. He looks like one happy man and a pleasure to know, I’m sure; with all that knowledge. I don’t have room for too many roses in my cottage garden, but those that I do have, I love to bits. I am excited to check our your blog! Best of luck with your roses!